Chicago: Trump said that if those involved in violence in the city don't stake steps to curb it, then "we'll solve the problem for them." The inner cities: He charged Ben Carson with working to improve wages and reduce violence and promised he'd do so "big league." Media reports about the MLK bust in the Oval: "I don't watch CNN. I don't watch fake news, but Fox has treated me good." Followed by: "So much of the media is the opposition party … It's a very sad situation." 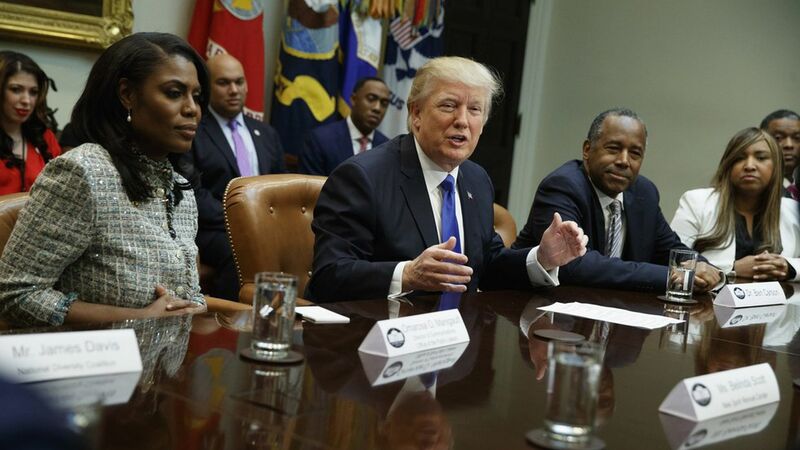 On Frederick Douglass: While discussing the new National Museum of African-American History and Culture, Trump said Douglass is "somebody who has done a terrific job that is being recognized by more and more people." Looking ahead: He told the room that he'd like to triple or quadruple his vote share among African-Americans in 2020.